Cardinal Federico Cornaro, belonged to one of the richest families of Venice. 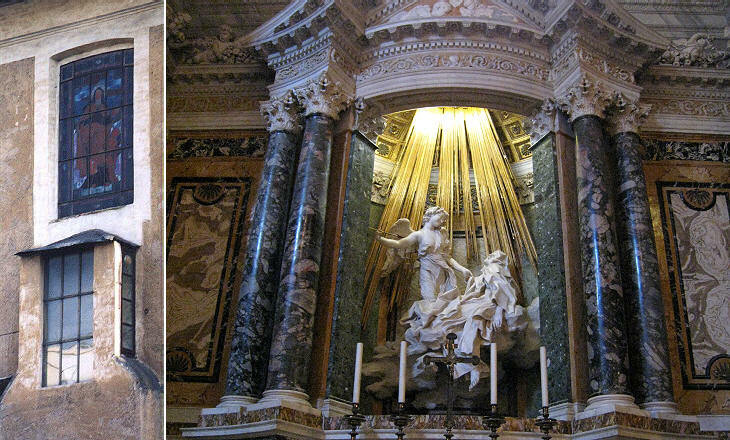 With him, Bernini did not have budget limitations and he and his team worked for years (1647-1651) on a chapel in honour of St. Theresa in the church of S. Maria della Vittoria. 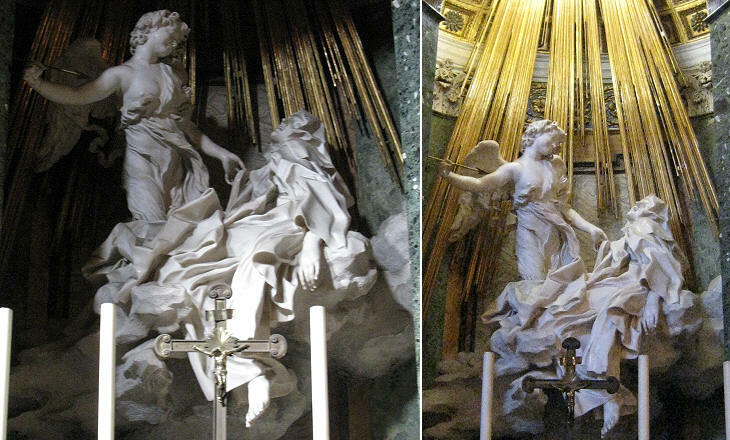 Cardinal Cornaro required Bernini to execute personally the sculptures and the outcome is one of his masterpieces. 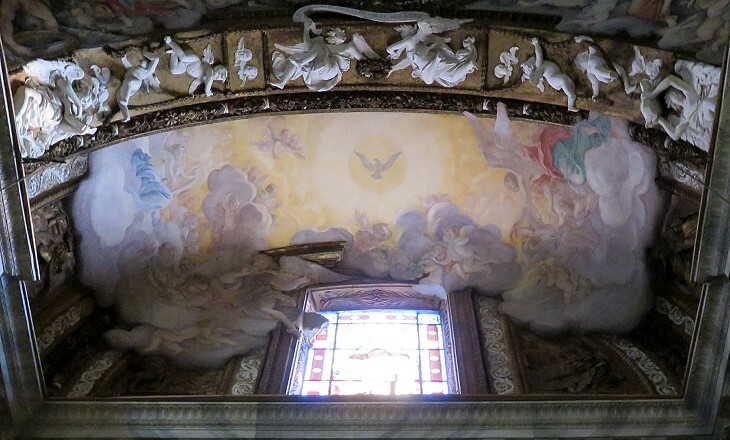 The light falls from hidden windows in the top of the altar on the statues of the saint and of the angel. 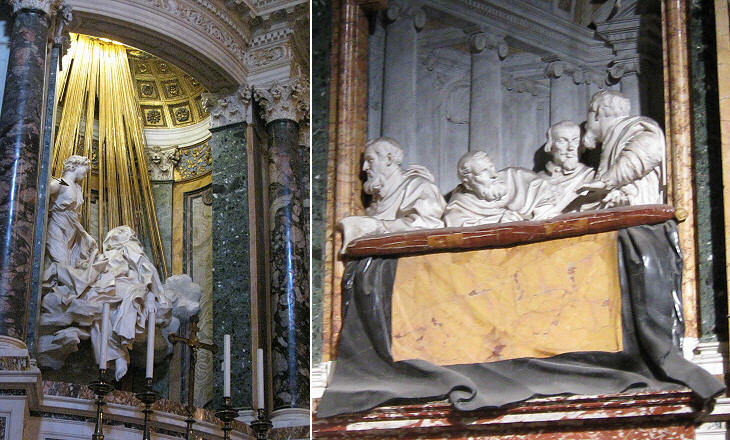 The use of golden rays will again be considered by Bernini in St Peter's Chair of St Peter. The curved shape of the altar reminds me of the niches designed by Borromini in the same period in S. Giovanni in Laterano. 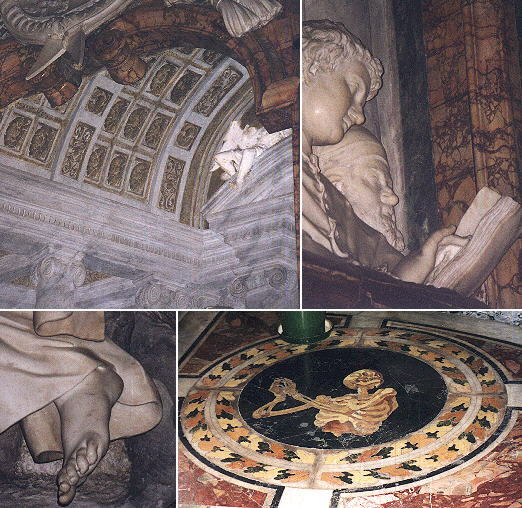 Cardinal Cornaro wanted many members (including ancestors) of his family to be commemorated so Bernini devised two reliefs showing them in the background of the nave of a church. The first impression is to see them in the boxes of a theatre. The genius of Bernini and the professionalism of his team are revealed by the attention to the details in all the elements of the chapel. Dan Brown set here an episode of his novel Angels and Demons; read some remarks on it.